Going Sideways on Chinese IP….? The American Chamber of Commerce in China recently released its 2014 American Business in China White Paper (http://www.amchamchina.org/whitepaper2014) (16th edition) and its China Business Climate Survey Report (http://www.amchamchina.org/businessclimate2014). These papers present useful snapshots of the perspectives of American businesses in China regarding the IP environment in China. IP rights were listed as the seventh out of nine concerns of greatest risks facing the China operation of US multinationals. IP ranked ahead in importance of deterioration of bilateral relations and behind the global economic slowdown. It was however the sole legally-driven issue, rather than a macro-economic or political concern. Although some us may view IP as being of core importance to US industry in China, IP in fact did not make it to one of the top five business challenges in 2014. In the last five years it only made the top five in 2011. This may be the good news for IP in these statistics. What was most disturbing as that 54% of respondents rated China’s IP enforcement “ineffective” in 2014 and 14% rated it “totally ineffective”. There also has been a marked decline in respondents who answered “don’t know” since 2009, with the decline reflected in a corresponding increase in respondents who said the system was “ineffective” or “totally ineffective.” This migration from respondents who “don’t know” to an opinion of that IP is “ineffective” suggests that there may adverse opinions developing based upon actual experience. The news is not all bad, however: nearly an equal amount of respondents indicated that China’s enforcement of IPR has improved (39%) or stayed the same (35%). Overall, 40% of respondents also indicated that there has been progress in the IP environment over the past five years. Amongst IP rights of key concern, AmCham respondents rated company name protections as the highest priority (56%), with trade secrets second (50%). Both showed an increase of 12 percentage points since this survey question was asked in 2011. Trade secret concerns were also reflected in other contexts in this survey. For example, a number of surveyed respondents (101) expressed concern that non-competition enforcement “caused negative impact or material damage” to their operations. Twenty three percent of respondents also indicated that proprietary data or trade secrets of their China operations have been breached or stolen. Despite an interest in IP courts by members, the number of respondents who were “somewhat” or “very” satisfied with IP court actions dropped from a high of 63 percent to 44 percent over the past three years. For the first time in three years, the number of American companies dissatisfied with the courts are now the majority of the respondents. By contrast, 54% of respondents were very satisfied or somewhat satisfied with administrative enforcement. In looking at this data, it is important to keep in mind that the numbers of respondents to these surveys varies and that other organizations, such as the US China Business Council also conduct surveys. The responses to questions also appear to me to naturally skew to the types of concerns that individuals who are on the ground would like addressed: administrative enforcement, for example, is quicker and cheaper and generates data which shows that the local operations are doing something about IP infringement. Judicial litigation can take longer and may not result in a collectible judgment. A Chinese language company name is a critical asset to a Chinese subsidiary, although it may not be understood as critical to US-based counsel who may understand little of the company name acquisition and registration procedures, or of how to establish a marketable Chinese name. In addition, patent issues may typically be handled by the home office and may not be a concern of the subsidiary or branch. For over a decade I have been asking the audience in programs in the United States and China if they believe the IP environment in China is getting better. My non-scientific observations, based on years of asking this same question 10 or more times per year, are that generally people think that the IP environment is improving. My personal response is that generally the situation is going “sideways,” and the AmCham survey, with its conflicting views of how the system is getting better but enforcement is getting worse, would seem to vindicate this. Why, to me, is it changing but not getting either better or worse? 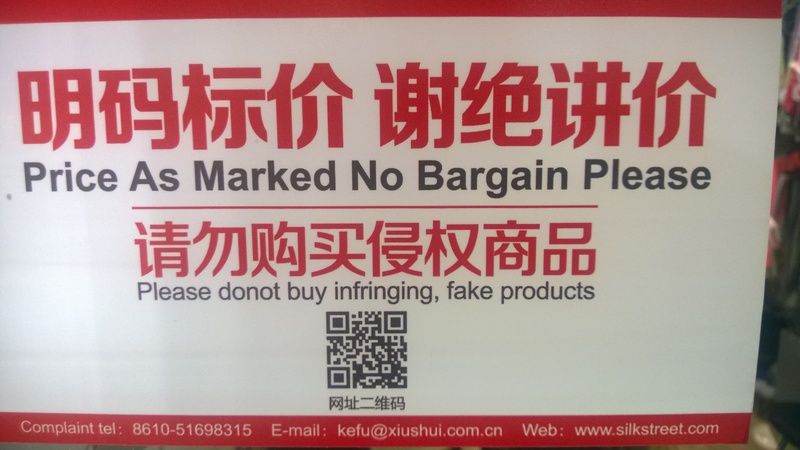 China recognizes the need to resolve certain old problems (counterfeiting, piracy), while at the same time new problems of increasing complexity (complex patent infringement, antitrust, etc.) are emerging. In a sense, the good news is that China is interested in IP protection. However, the bad news is also that China is interested in IP protection. Increased higher stakes defensive risks (Schneider/Chint, Huawei/Interdigital, IPad/Proview, etc. ), problems of abusive trademark registrations and patent trolls (“cockroaches”) are amongst the bad news. This entry was posted in China IPR and tagged AmCham, Business Survey, Huawei, InterDigital, IPAD, Patent Trolls, Schneider.